Cisco has launched software that makes the managing and monitoring of corporate networks easier. And besides the software Cisco also launched data center switches which come with chips that are custom-made and which allow the software to be operated more efficiently. The new software bundle comes with new features such as security-threat detection for encrypted corporate networks. IT staff will also be able to manage Cisco equipment without having to change the underlying software code. Customers who acquire the new gear will be required to pay a subscription fee in order to get access to some of the features of the software, marking a departure in Cisco’s business strategy. Previously, Cisco’s strategy involved selling hardware that came with pre-installed services and which customers paid for regardless of whether they required the software or not. The new software subscription model is an indication that Cisco is keen on dealing with the declines that have been registered in its business of selling gear necessary for managing telecommunications and internet networks. The move also comes at a time when business enterprises are turning to buying computing resources as and when needed from firms such as Microsoft and Amazon as opposed to buying their own data center hardware. This has hurt Cisco’s business since it had been relying on sales of data center equipment. In the last six quarters sales at Cisco have been on a consistent decline and this has raised questions as to whether the networking gear company will surmount the challenges posed by a radically and rapidly changing IT market. Last month Cisco announced that it would be laying off more than one thousand employees following the release of fourth-quarter results that were weaker than analysts and investors had been expecting. Just like other networking firms such as Juniper Networks which have adopted a subscription model, Cisco has been no exception. 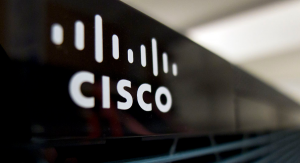 By adopting the pay-as-you-go model, Cisco will also be in a better position to project future revenues. The networking giant will also be able to sell new software at a faster rate since the product will be delivered through the internet rather than in boxes. Though this is not the first time Cisco is selling some of the software products it develops via a subscription model, the latest move brings existing products together in one package. Cisco will also sell additional services on top of the new software. These include services necessary for powering devices that are internet-connected such as factory equipment and elevators.